This recipe is super delicious, high in protein and low in fat, sugar and carbs. Prepare a bowl for your dinner guests or whip some up for a lunch snack. 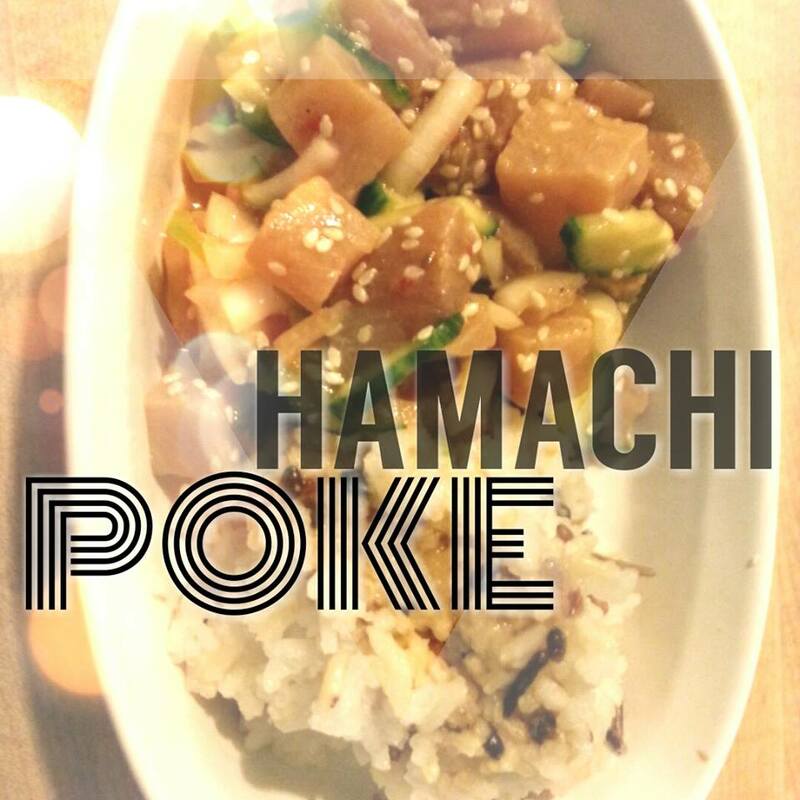 Perfect for any sushi lovers out there and a breeze to prepare. Chop tuna steaks into small bite sized pieces. Combine all ingredients in a medium sized bowl and mix to distribute evenly. Serve over wonton chips, brown rice, or a bed of lettuce. 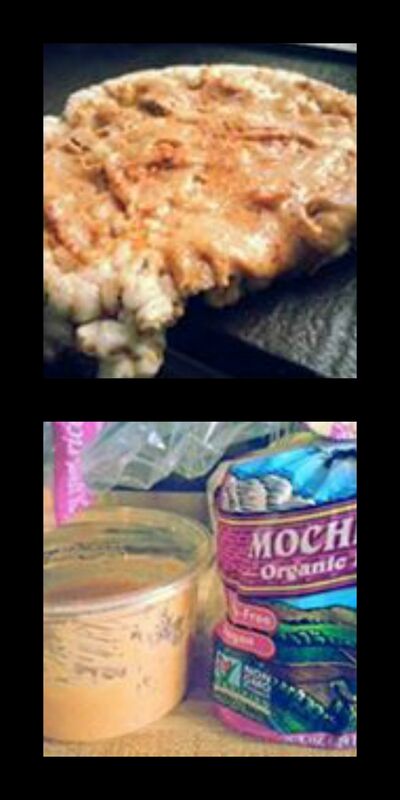 **This recipe is slightly high in sodium, due to the soy sauce. You could cut down on the amount by removing soy sauce from the recipe, but the flavor will be a little different. When Life gets busy, don’t stress about what to eat! Keeping some quick and easy foods on hand will make eating to support your goals a snap. 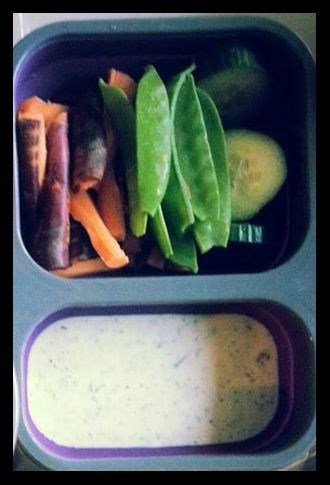 I find that if I take a few minutes to prepare for myself, I will eat better throughout the week. Taking snacks to work or keeping options available on the go stops me from grabbing junk when I am hungry. 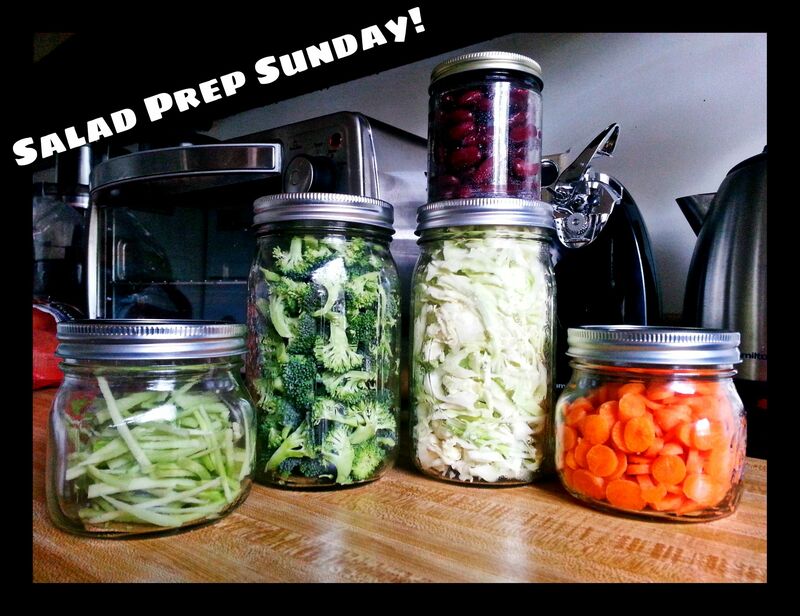 Try some of my favorite meals and snacks next time you are doing your meal prep or shopping for the week. 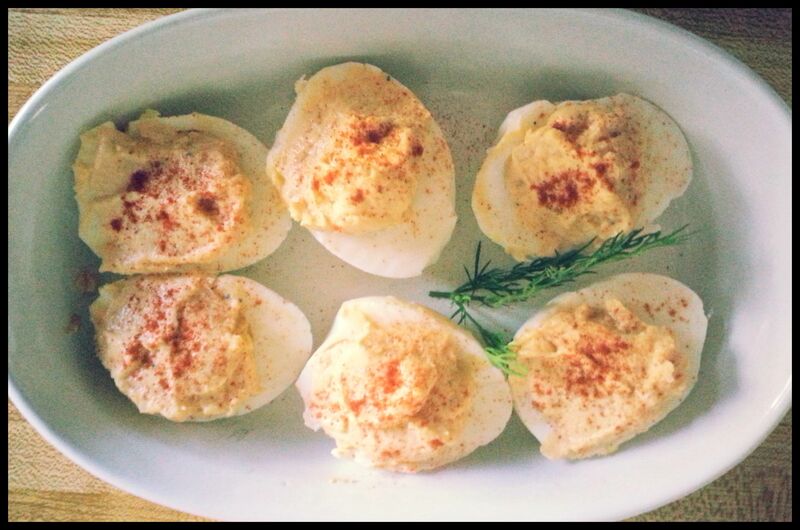 These convenient little egg creations are totally easy, and you can customize them with any ingredients you like. Preheat your oven to 350 degrees. Whisk together eggs and egg whites. Line each muffin cup with a strip of turkey bacon, and spray the bottoms thoroughly with olive oil spray. 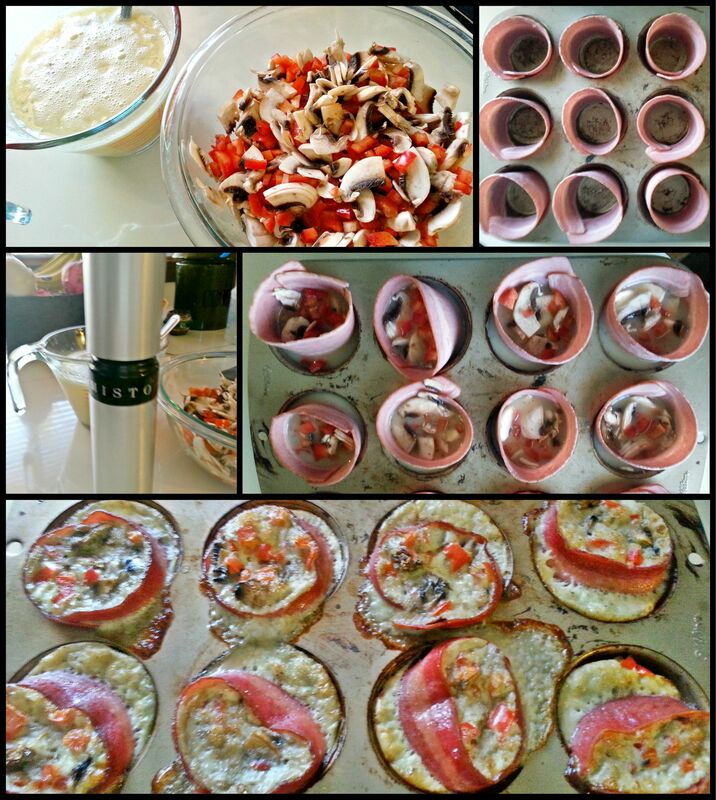 sprinkle the mixture of chopped veggies evenly throughout all the muffin cups, and cover with egg mixture. Top with shredded cheese if desired, and bake in the oven for 35 minutes. 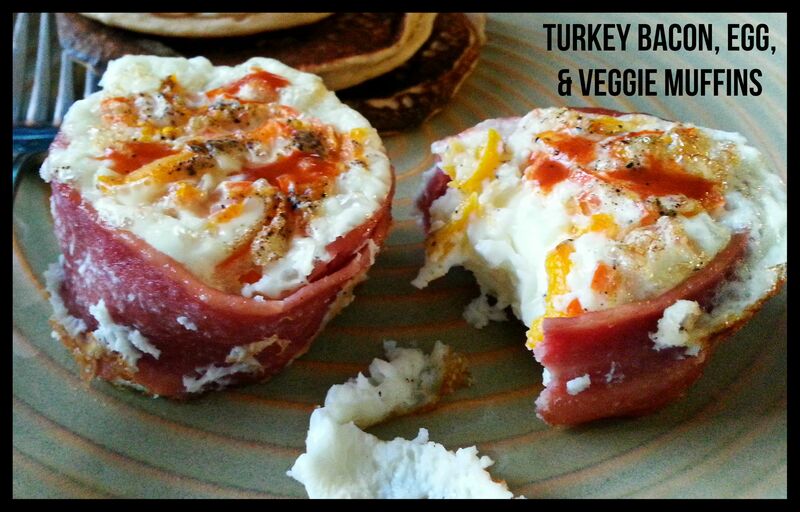 Enjoy your egg muffins any time of the day for a healthy protein packed snack! Here is a super easy meal to prepare that will absolutely WOW you and anybody you decide to share it with! 🙂 Prepare a big batch of deliciously marinated chicken, and use it for days after to create Gyro sandwiches, salads, or dinner plates. Use the extra Tatziki sauce to dress salads, sandwiches, or veggie sticks all week for a tasty alternative to fatty dressings. For the sauce, you will first need to prepare your cucumbers by de-seeding them, slicing them, and placing them in a strainer. Sprinkle some salt on the cucumbers and allow them to sit for 15-20 minutes while the salt draws much of the moisture from them. Toss them a couple times, making sure to coat evenly with salt. Once they have sweated out most of the excess water, pat them dry with paper towels. In a food processor, combine yogurt, lemon juice, olive oil, salt, pepper, garlic, herbs, and 3/4 of your mixture of cucumber. Blend evenly. Add the rest of the cucumber slices and a few slices of white onion. Pulse the food processor so as to leave a little texture from the remaining veggies. Once the chicken has marinated for a bit, skewer the strips and grill on the BBQ until thoroughly cooked. You may also cook the chicken in the oven at 375 for 25-30 minutes, depending on how thick you cut the chicken. 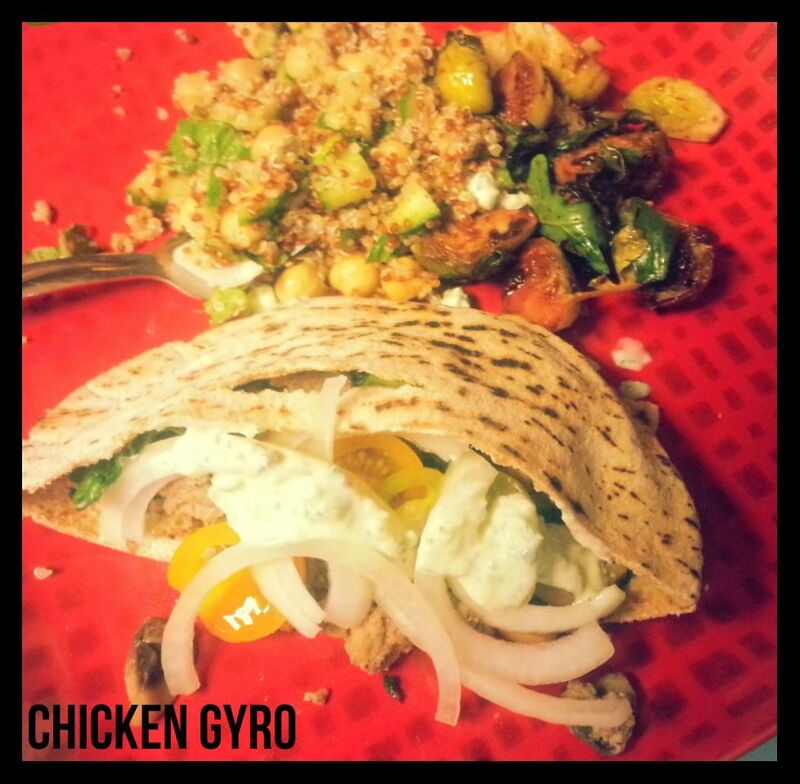 You are now ready to enjoy delicious chicken and Tatziki sauce on a nice whole wheat pita with onion, tomato and lettuce! Enjoy the leftovers any way you please! My favorite is veggies with the leftover Tatziki sauce, or a nice salad with leftover grilled chicken on top and Tatziki dressing. YUM! Learn to love salads! Your body will always thank you for feeding it lots of nutrient rich veggies. Vegetable are high in fiber, leaving you full for longer. The vitamins and minerals which your body needs all lie in the many colorful fruits and vegetables available to us, so eat up! You won’t regret it. When you are doing your meal prep for the week, take a few minutes to pre-chop your favorite salad toppings. Imagine having a delicious salad in just seconds because you already thought to chop everything up! Awesome! I frequently buy a pre-cooked whole chicken from the grocery store to use for added protein on my salad during busy weeks. Try hard-boiling some eggs for the same strategy, or adding smoked salmon, tuna, nuts, seeds, or even some cooked quinoa or cous-cous to liven up your salad routine. 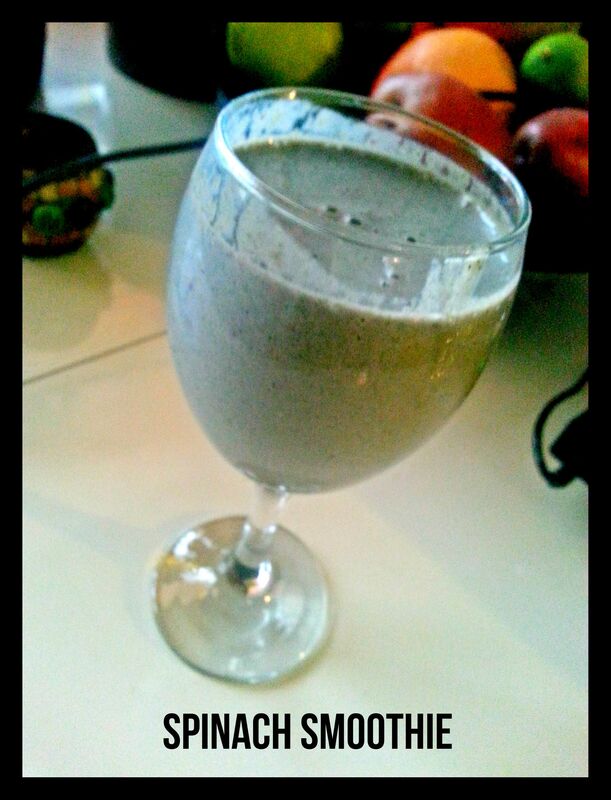 One of my favorite go-to snacks is a delicious smoothie. The combinations are literally endless, and there is always time to whip up something if you are on a time crunch. Spinach – as much as you can pack in there! You can literally put tons of spinach in a smoothie and it won’t alter the taste, but WILL give you a huge nutrient boost. Try mixing it up with your favorite fruits or proteins. Try making a delicious fiber, protein, and good carbohydrate packed bean salad to enjoy by itself, or as an addition to your green salad or meal. 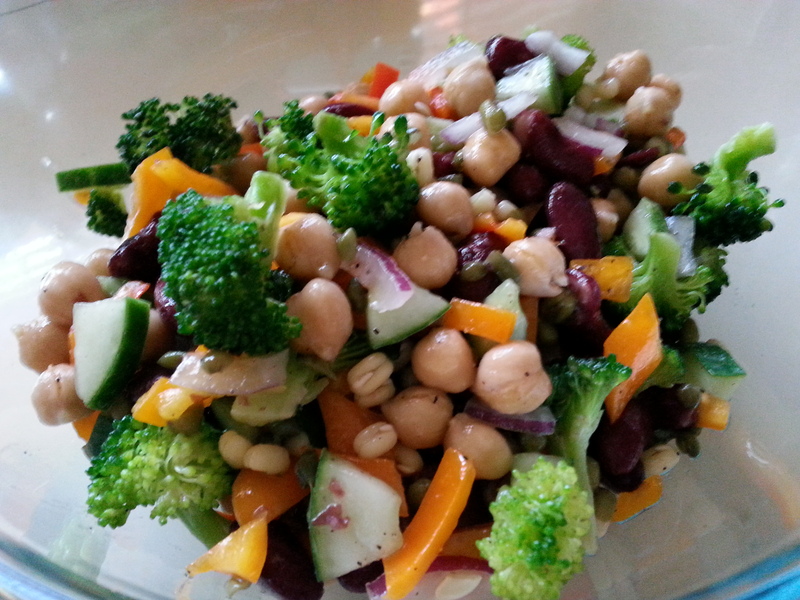 Of course, you can make this salad with any ingredients you like – try using different beans, veggies or marinade. I usually make a pretty generic version that will top my green salad and add a little depth. Try making a batch with cilantro, corn and lime juice, basil and pine nuts, or mint and cranberries. This protein packed snack is quick to prepare, healthy, and delicious. 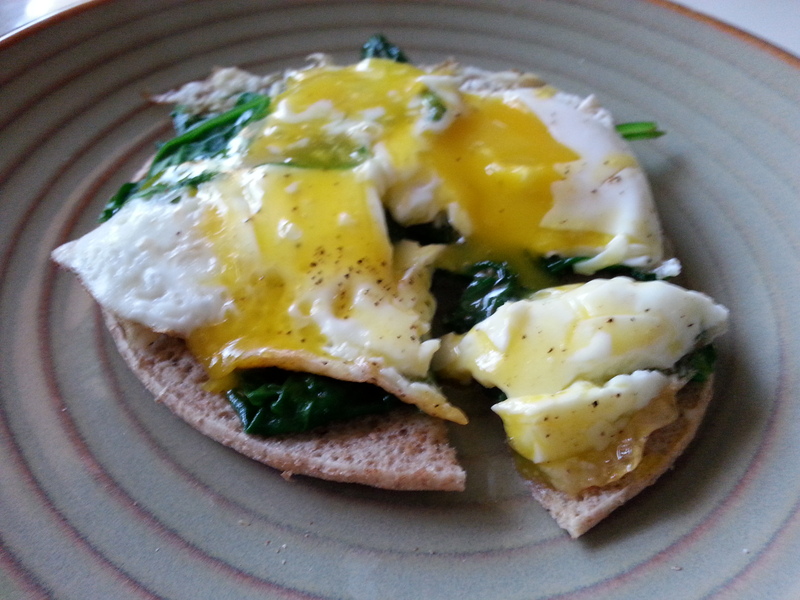 Simply toast a piece of your favorite whole grain bread, spread a bit of hummus, and top with sauteed spinach or kale and a fried egg! Superb! 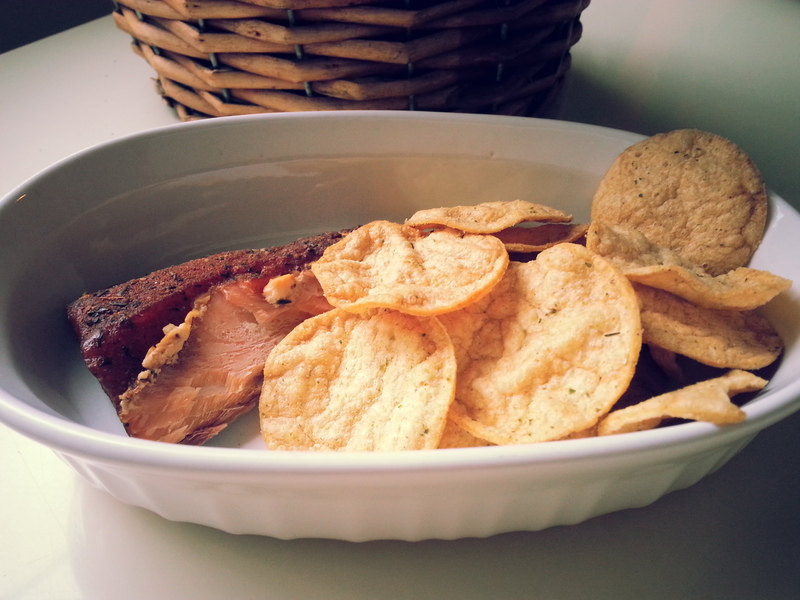 Quick and simple, this snack is a great way to replenish your healthy fats and good carbohydrates. Enjoy after a workout or as an energy boost on the go! Try sprinkling a bit of cinnamon and adding fresh strawberries or apples to the mix. For those of you who enjoy a nice piece of smoked fish, enjoy a super fast protein blast with your favorite whole grain crackers or a slice of celery and some goat cheese. Delish. Whatever your tastes are, there is always something for everybody. Try to get creative, and keep it simple at the same time! 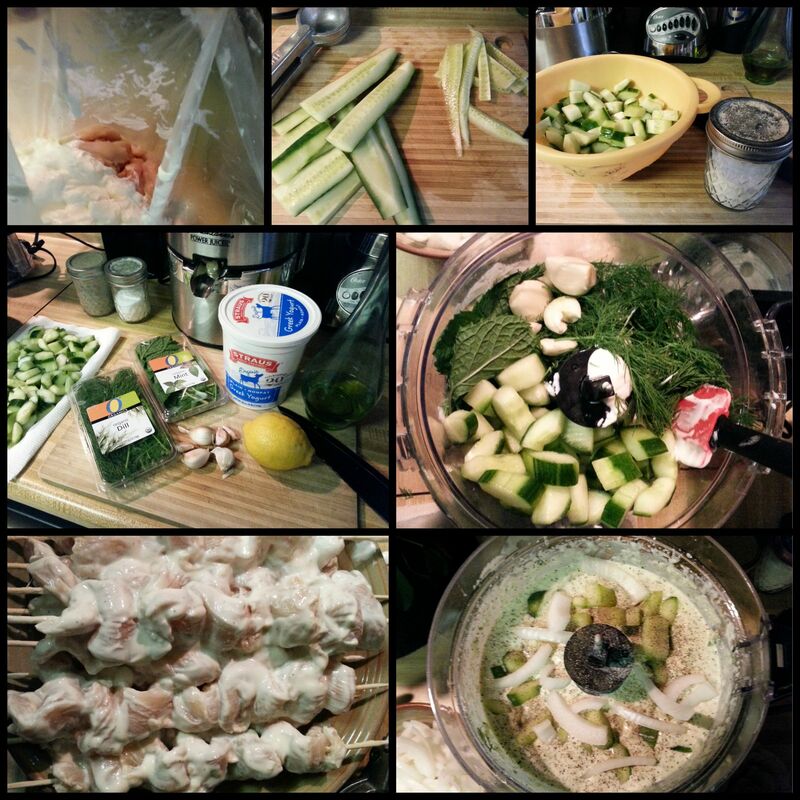 I am a big fan of recipes which I can make quickly, make a little extra of, and use in many different ways. Always set yourself up for success, work hard, stay focused, and everything will fall into place! 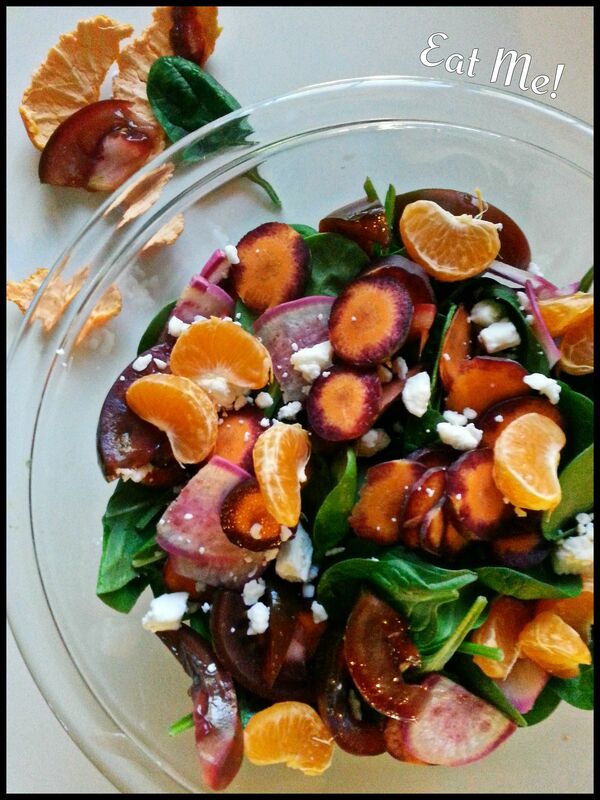 Need a tasty dressing to liven up your delicious fresh greens? Tired of paying $$$ for processed, fattening dressings that are loaded with preservatives? Here are a few options for quick and easy dressings that will liven up any salad, from spinach to quinoa and everything in between. Blend all ingredients in food processor. Makes 6 servings. I have had an obsession with making my own tortillas lately – corn, wheat, oat, brown rice, you name it. In my experiments with different recipes, I came across a pretty simple recipe for brown rice tortillas, using zanthan gum as a binder. I had never used zanthan gum before, so naturally my curiosity was peaked. I purchased said gum, and tried out the recipe. The tortillas were great with our home made chicken fajitas that night! They almost had a sort of ‘cream of wheat’ flavor, but I liked how they were soft and pliable, and highly nutritious. I remember thinking they would make an excellent crepe – so today, that is precisely what I made! I used the brown rice tortilla recipe, some sliced pears, and a mixture of plain Greek yogurt with vanilla protein powder and a sprinkle of cinnamon. The end result was something delicious, light, and mildly sweet that completely cured my crepe fixation. I hope you will try these, and let me know what you thought. Mix together vanilla protein powder and yogurt, set aside along with sliced pears and cinnamon. Combine all ingredients to make crepe mixture, using a wire whisk or fork to blend evenly (mix approx 1-2 mins.) Spray a non stick skillet with a fine mist of olive oil, or coat with coconut oil, and let heat to medium-low heat. It is important to not let the pan get too hot before you add the runny mixture. Take skillet off heat for 20-30 seconds, and using a 1/4 cup scoop, spoon batter into pan. You will want to rotate the pan to spread the mixture in a circular motion – until your crepe is approximately 6-7 inches wide. If the batter immediately bubbles and creates holes, the pan is too hot. Put skillet back on heat, and let the crepes cook about 3-4 minutes on each side, flipping only once. If they are not cooked long enough, they will not be solid enough to flip, so check carefully with a thin plastic spatula. You might have to play around with your technique to get perfect crepes, they are a bit delicate! Once your crepe is cooked on both sides, leaving in skillet, carefully spread 1/4 cup of the yogurt mixture on top of the crepe. Top with a few sliced pears, and sprinkle with cinnamon. Carefully fold over each side of the crepe and serve warm sprinkled with a bit of cinnamon.